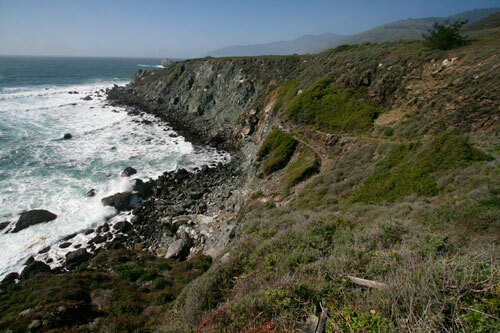 he Big Sur coast is rich with activities for the adventurous and non-adventurous alike. Numerous hiking trails wind through the rugged Santa Lucia Mountain range, traversing redwood canyons and sun-drenched ridges. Less strenuous but equally fun hikes can be made from well marked points of interest along the highway. Activities covered here are broken into three categories: beach access, hiking, and day trips. 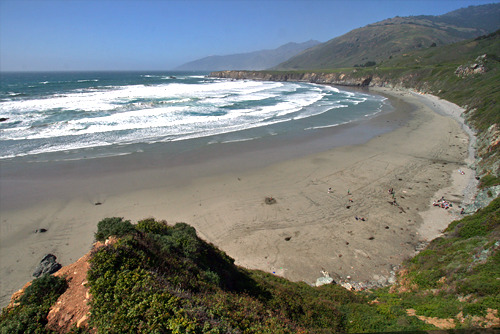 Several beaches are tucked in all along the Big Sur coast. These beaches can vary depending on time of year and can offer everything from sun bathing to tide pool exploration. Sand Dollar Beach. 9.2 Miles South of Lucia. Sand Dollar beach is the largest beach on the south coast of Big Sur. The beach sits at the base of the cliffs adjacent to the Pacific Valley Flats, a rare expanse of horizontal land that was occupied by the Salinan Indians for thousands of years. 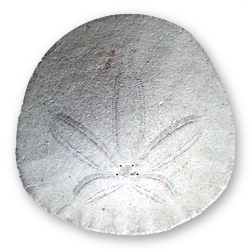 The crescent shaped beach gets its name from the sand dollars found there (a small hard shelled sea creature related to the sea urchin). Activities at Sand Dollar beach include wading, sun bathing, surfing, rock hunting, exploring tide pools, and people watching. The beach can be walked the entire length of its nearly one mile length at low tide. You can occasionally see hang-gliders or para-gliders landing in the meadow near the south end of the beach. Sand Dollar beach is a day use area within the bounds of the Los Padres National Forest, and thus administered by the US Forest Service. A $5 day use fee is charged at the entrance. 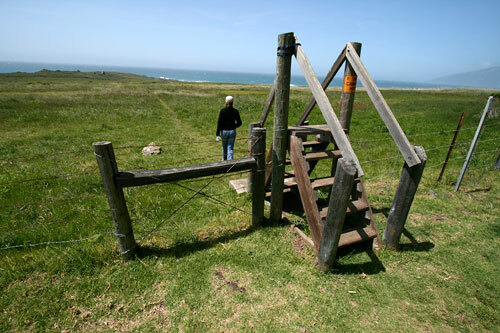 There is no wheelchair access to the beach, as a stairway consisting of 98 steps must be traversed to access the beach. Getting there: Drive approximately 9.2 miles south from Lucia on Highway 1 and look for the sign on the right side of the road. The mountains give way to the Pacific Valley just before the beach. Jade Cove. 9.8 Miles South of Lucia. Jade Cove is the single most famous spot for finding Jade. 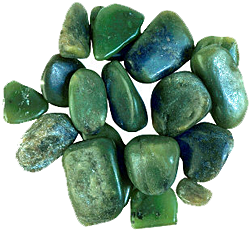 Jade is a semi-precious stone found in a variety of shapes, sizes, and colors. Big Sur Jade is famous around the world for its rarity and beautiful coloring. Over $1 million in jade has been taken from the area. The Guinness Book of World Records list a 9,000-pound nephrite boulder found at Jade Cove as the largest piece of jade ever found. Native Americans used Jade for a variety of purposes including keeping warm. The stone is so dense it will retain the heat garnered from being placed in a campfire. The jade at Jade Cove is constantly being replenished. Fierce winter storms break off chunks of the stone from an underwater shelf. Try your hand at jade hunting, but beware that Jade can only be taken when found below the high tide line. 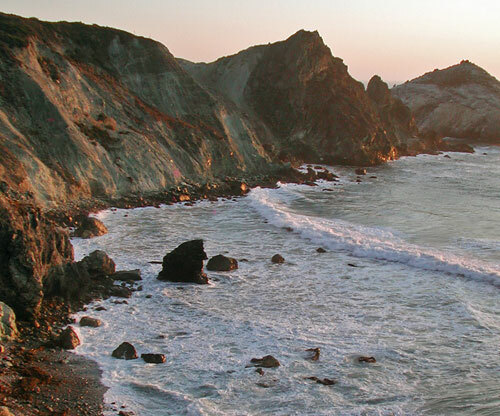 Jade Cove is part of the Los Padres National Forest. There is no entrance fee. Getting there: Drive approximately 9.8 miles south from Lucia on Highway 1 and look for the Jade Cove sign on the mountain side of the road. Park on the ocean side of the road, just off the highway. Look for any of ? fence crossings. Willow Creek. 11.5 Miles South of Lucia. Willow Creek is another popular place to find Jade. The creek drains an area of Big Sur famous for the gold it produced during the gold rush of the 1800’s. Unique to Willow Creek is that you can drive right down to the beach and park in the lower parking lot. Getting there: Drive approximately 11.5 miles south from Lucia on Highway 1 and look for the Willow Creek sign on the right side of the road. Willow Creek is just past the bridge that spans the creek itself. There is a big pullout/ parking lot by the sign. Park up top for splendid views, or drive down the hill and park at the lower parking lot next to the ocean and the creek. Most hiking spots near Lucia Lodge are found south of Lucia. The majority of the trails are on US Forest Service land, specifically the Los Padres National Forest. There is no charge to enjoy day use of these trails. Dogs must be leashed. Beware of Poison Oak. Hiking the Bluffs. Four mile long corridor South of Lucia. The ocean bluffs around the Pacific Valley flats are honeycombed with trails. You can pull over to the side of the road any place you see a fence ladder and meander out to the bluffs. Most of the trails out to the bluffs connect to a coastal trail that runs north and south right along the bluffs. Enjoy the serene beauty. Getting there: About 8 miles south of Lucia the terrain opens up to the expanse of the Pacific Valley, home to Pacific Valley School, camping, and recreation. As you drive down into the valley you will start spotting fence ladders punctuating the fence line on the right. You can reach the bluffs from any of these crossings. There is also a trail leading to the bluffs at Sand Dollar beach. This is the closest hike to Lucia Lodge. 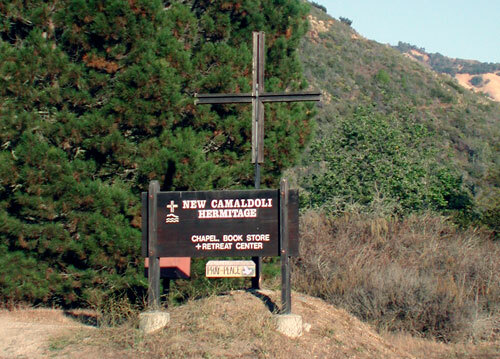 It is a walk up to the Catholic Monastery known as the New Camaldoli Hermitage ensconced in the mountains above Lucia. A Camaldoli, Italy based order of Benedictine monks reside here. The “hike” is a walk up the two mile-long paved road leading to the monastery. Stunning views of the entire coast open up before you as you ascend the four switch-backs of the road, which terminate at the monastery. Once there, you can avail your self of the Hermitage Gift Shop, and/or attend one of the four times daily services. The gift shop is open 9-5 daily (closed for noon-day mass), and services are held at 5:30AM, 7AM, 11:30PM (mass), and 6:30PM. There several picnic benches scattered along the monastery road that the public are welcome to make use of. Getting there: You can either drive south the .5 miles from Lucia and park in the open area at the bottom of the Hermitage road (left side of highway), or carefully walk from the lodge via highway 1. A sign next to Highway 1 marks the monastery road. 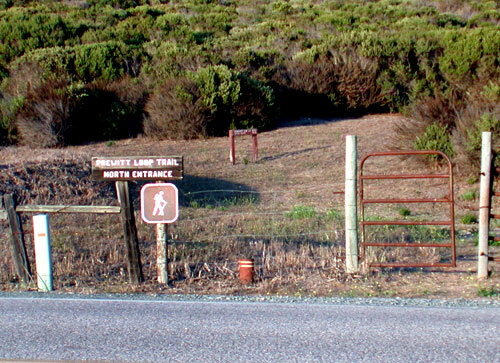 The next closest hike to Lucia (exclusive of the bluff trails) is in Pacific Valley, south of Lucia on the inland side of Highway 1. Although this is a 12 mile loop trail, only certain portions of the trail are recommended. Do NOT attempt to hike the entire loop unless you are an advanced hiker and first check conditions at the nearby ranger station. Recommended for most folks is a scenic 1-2 hour round-trip hike via the north entrance of the prewitt loop trail, in the heart of Pacific Valley. The trail meanders up the side of the hill from the take-off point at the trailhead. Along the way you can enjoy the many varied species of the plant region known as coastal scrub. The switch backs reveal ever expanding ocean views of the remarkable coastline running through this area. Keep your eyes peeled for whale sign. After about ½ hour or so, the trail turns directly into the canyon enclosed by Prewitt Ridge. From there, another 20 minutes or so of walking leads you to an immature redwood forest. Reaching the forest is a worthwhile goal, as the shade provided by the trees invites one to stop and reflect on what they are seeing. What you are viewing is a thick forest of young redwood trees in competition with one another for the open canopy above. As the trees mature, there will not be enough light and energy for all to survive. The forest will eventually thin and more resemble a mature redwood grove. Getting there: The north trailhead of the Prewitt Loop Trail is ?? miles south of Lucia. The sign is easy to miss, so slow down a bit as you hit ?? miles and look for a small dirt pull-out on the mountain side of the highway. If you hit the ranger station you’ve gone too far. Turn around and go back ?? miles. Safety note: If you are coming from the direction of the lodge, pull off the road on the ocean side after spotting the trailhead. There is plenty of room. When traffic is clear, pull a U-turn and park at the wide spot next to the trail sign. A very short and sweet hike…. a walk really. A short distance from the traffic pullout arrives you at lovely Redwood Gulch Memorial Redwood Grove, the southernmost grove of Coastal Redwoods (sequoia semperviren) on the west coast. The climate and soil prohibit these redwoods from gaining the height and splendor of their northern California relatives, but this is a magical place none-the-less. The adventurous may enjoy rock hopping up the creek that feeds the redwoods. The banks of the creek reveal Big Sur’s several delicate and beautiful ferns lying hidden among the cracks and crevices. Salmon Creek Falls Trail. 22.2 Miles South of Lucia. Here we have another short, but very popular trail. Salmon Creek Falls can even be viewed from the highway, but you can walk up to the falls to enjoy them up close and personal. 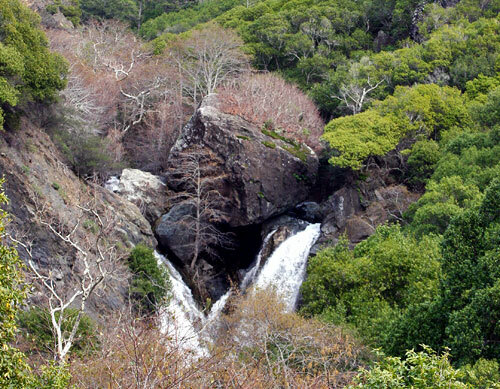 In spring, after a wet Big Sur style winter, the falls are usually raging! Besides all the aforementioned ways to enjoy yourself along the Big Sur coast, there are a number of extended day excursions that can return you to your place of lodging by dinner. To the north lie more coastal wonders such as Point Lobos reserve just outside Big Sur proper, or the Monterey Aquarium in historic Monterey. To the south you will find equally enjoyable day trips taking in the remarkable elephant seals, and/or an unforgettable trip to Hearst Castle. A little known but exquisite treat is to explore the interior of Big Sur, enjoying the Santa Lucia mountains en route to Mission San Antonio, one of 21 preserved California missions. Visit the Elephant Seals. 34.7 miles south of Lucia. Elephant Seal beach (also known as Piedras Blancas Rookery) is home to a total population of about 8,000 elephant seals. This endangered species of seal formed a colony here only as recently as 1990. 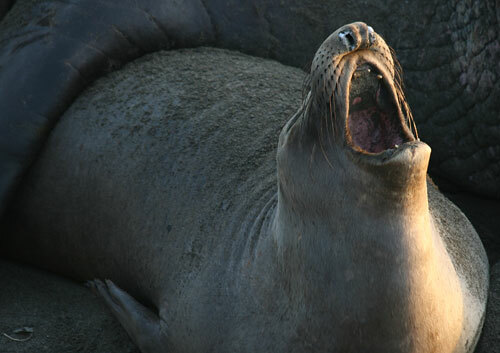 The elephant seal was thought to be extinct until small populations showed themselves at places such as the beach near Piedras Blancas lighthouse. At various times of the year the seals “haul out” to the beach, taking a break from ocean feeding to relax, molt, joust, mate, and raise young. The cycle actually has either the male or female out of the water and on the beach every month of the year. There are signs providing abundant information about the elephant seals. A walkway adjacent to the parking lot takes you to the beach itself for an “up close and personal” view of the seals. Getting there: Simply drive south on Highway 1 the 34.7 miles from Lucia Lodge to elephant seal beach. Watch for the Piedras Blancas lighthouse as it’s a good landmark. The parking lot is past the cutoff to the lighthouse on the right. Pay attention because the exit is poorly marked, and there are several parking lot pullouts along this stretch of the highway.